You can’t fight something with nothing. But as long as Democrats refuse to talk about the almost unprecedented buildup of income, wealth, and power at the top – and the refusal of the super-rich to pay their fair share of the nation’s bills – Republicans will convince people it’s all about government and unions.Republicans claim to have a mandate from voters for the showdowns and shutdowns they’re launching. Governors say they’re not against unions but voters have told them to cut costs, and unions are in the way. House Republicans say they’re not seeking a government shutdown but standing on principle. “Republicans’ goal is to cut spending and reduce the size of government,” says House leader John Boehner, “not to shut it down.” But if a shutdown is necessary to achieve the goal, so be it.The Republican message is bloated government is responsible for the lousy economy that most people continue to experience. Cut the bloat and jobs and wages will return. Nothing could be further from the truth…. 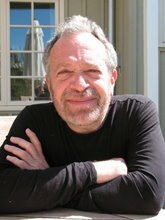 the truth is that while the proximate cause of America’s economic plunge was Wall Street’s excesses leading up to the crash of 2008, its underlying cause — and the reason the economy continues to be lousy for most Americans — is so much income and wealth have been going to the very top that the vast majority no longer has the purchasing power to lift the economy out of its doldrums. American’s aren’t buying cars (they bought 17 million new cars in 2005, just 12 million last year). They’re not buying homes (7.5 million in 2005, 4.6 million last year). They’re not going to the malls (high-end retailers are booming but Wal-Mart’s sales are down). Only the richest 5 percent of Americans are back in the stores because their stock portfolios have soared. The Dow Jones Industrial Average has doubled from its crisis low. Wall Street pay is up to record levels. Total compensation and benefits at the 25 major Wall St firms had been $130 billion in 2007, before the crash; now it’s close to $140 billion. But a strong recovery can’t be built on the purchases of the richest 5 percent. The truth is if the super-rich paid their fair share of taxes, government wouldn’t be broke. If Governor Scott Walker hadn’t handed out tax breaks to corporations and the well-off, Wisconsin wouldn’t be in a budget crisis. If Washington hadn’t extended the Bush tax cuts for the rich, eviscerated the estate tax, and created loopholes for private-equity and hedge-fund managers, the federal budget wouldn’t look nearly as bad. And if America had higher marginal tax rates and more tax brackets at the top – for those raking in $1 million, $5 million, $15 million a year – the budget would look even better. We wouldn’t be firing teachers or slashing Medicaid or hurting the most vulnerable members of our society. We wouldn’t be in a tizzy over Social Security. We’d slow the rise in healthcare costs but we wouldn’t cut Medicare. We’d cut defense spending and lop off subsidies to giant agribusinesses but we wouldn’t view the government as our national nemesis. The final truth is as income and wealth have risen to the top, so has political power. The reason all of this is proving so difficult to get across is the super-rich, such as the Koch brothers, have been using their billions to corrupt politics, hoodwink the public, and enlarge and entrench their outsized fortunes. They’re bankrolling Republicans who are mounting showdowns and threatening shutdowns, and who want the public to believe government spending is the problem. They are behind the Republican shakedown.